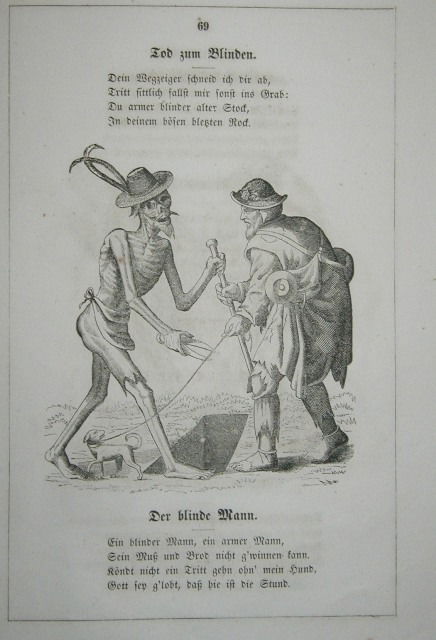 Published by Beck in Basel. 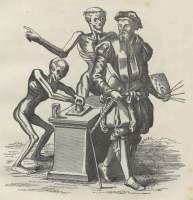 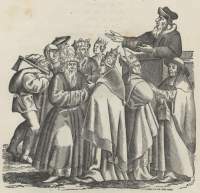 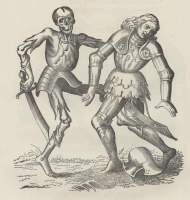 The woodcuts were executed by Lips and Spalinger of Schaffhausen. 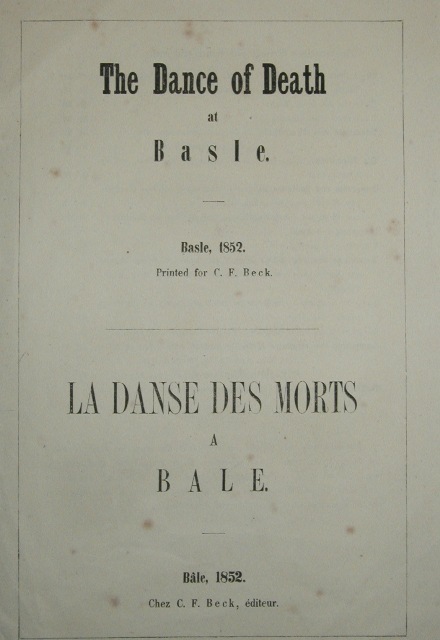 The text is in German, French and English. 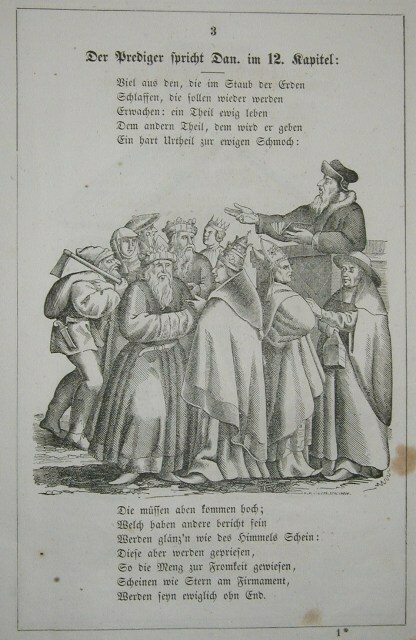 Jakob Friedrich Ferdinand Lips (1825 - 1885) and Johannes Spalinger (1819 - 1857) jointly owned their "Xylographische Anstalt" until 1855, when Spalinger took over sole ownership. 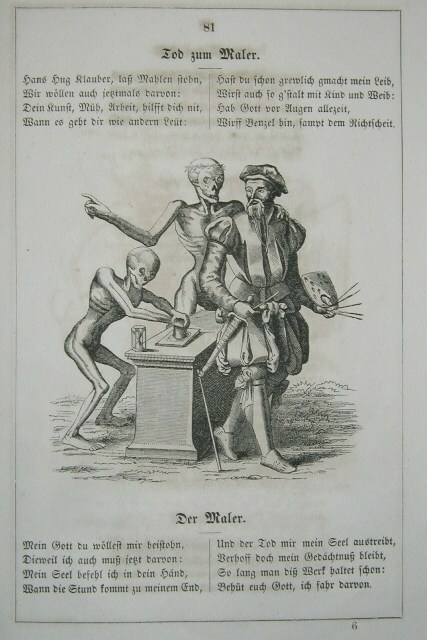 The woodcuts are copies of Merian's copperplates, and a few are signed (picture to the right). 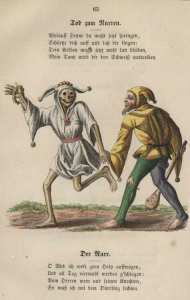 The first(?) 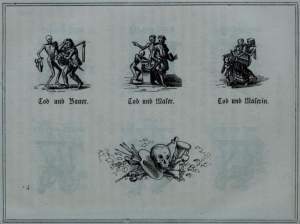 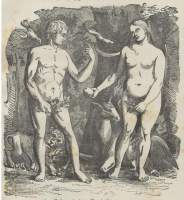 editions carry the year 1852. 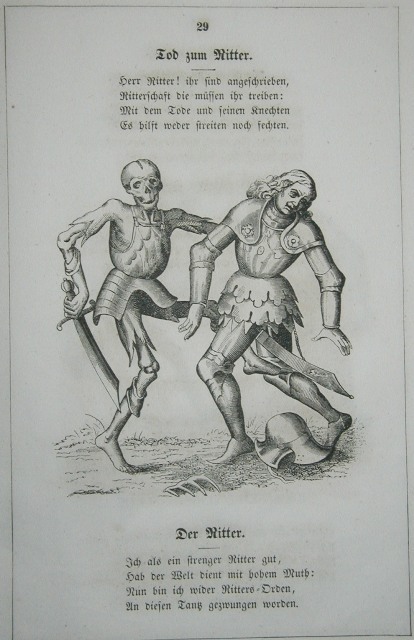 Later editions are identical except for the title pages, where the text has been rearranged and the year is missing. 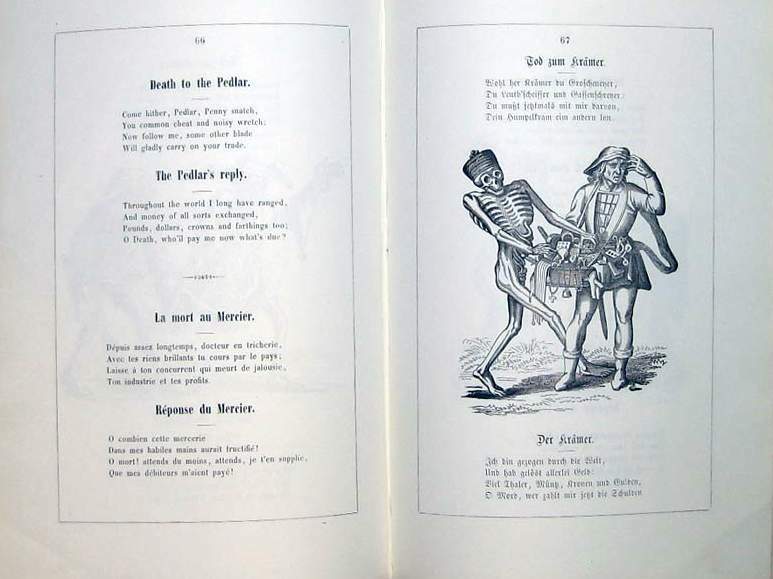 All editions are trilingual: German, English and French. 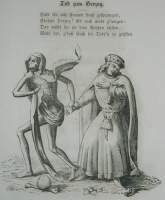 The translations are those from the late editions of Chovin and I have placed them under each dancer. 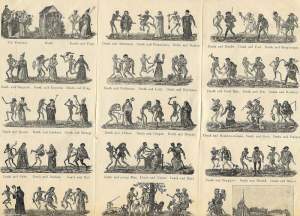 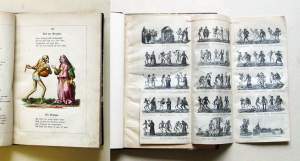 The book was sold along with a folder showing the entire dance on a single sheet. 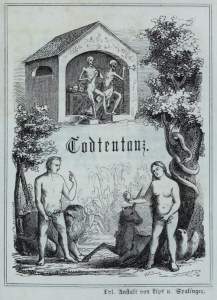 To the right is such a folder in English. 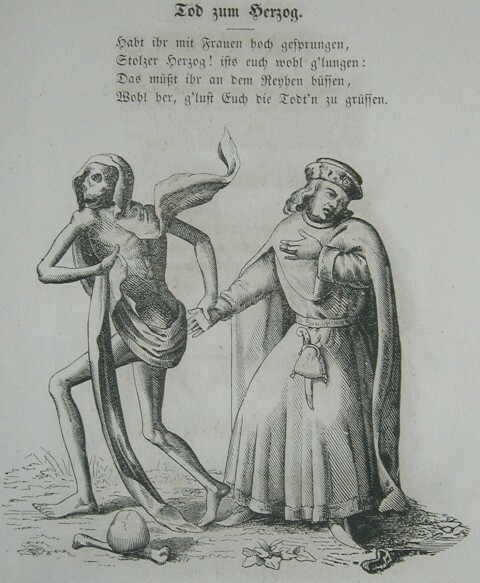 Lips og Spalinger also published "Die Stadt Basel historisch-topographisch beschrieben" two years later in 1854. 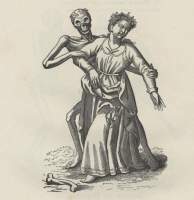 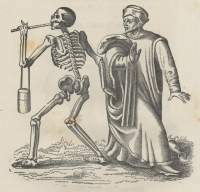 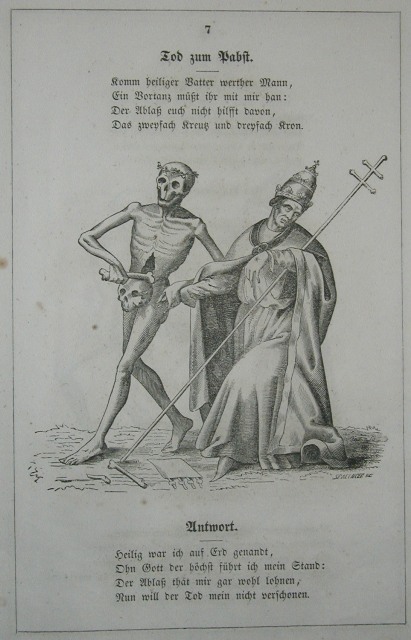 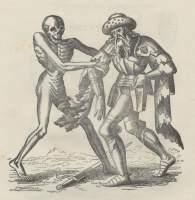 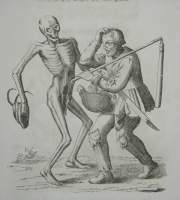 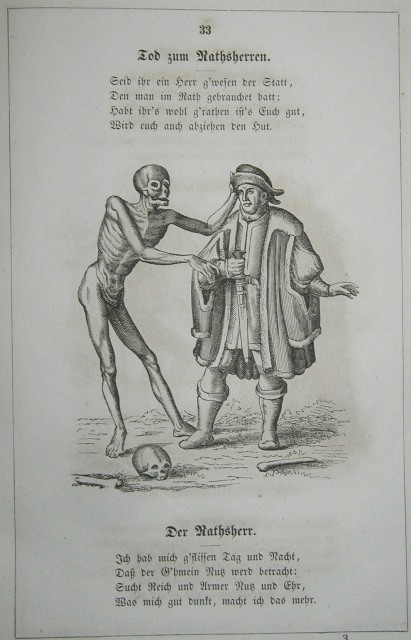 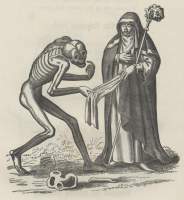 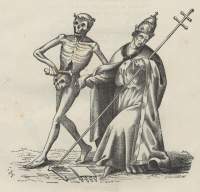 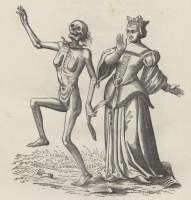 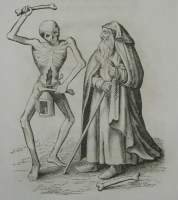 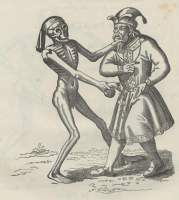 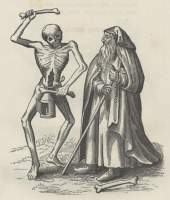 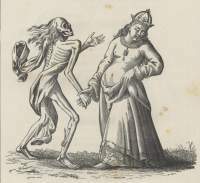 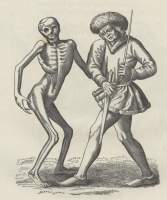 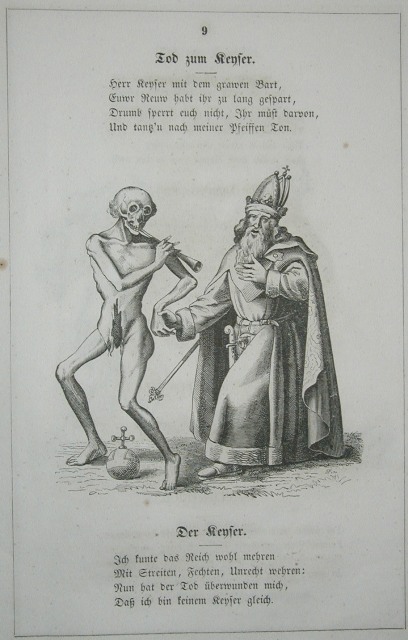 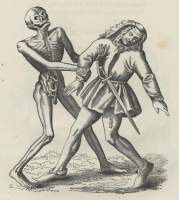 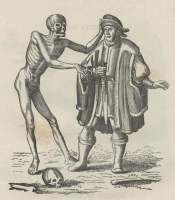 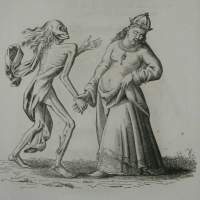 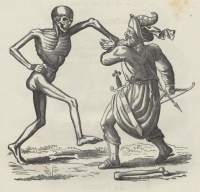 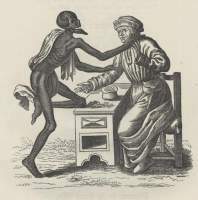 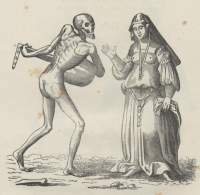 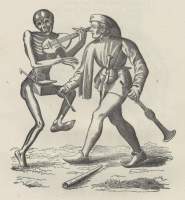 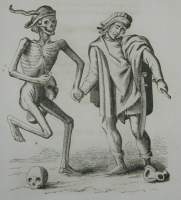 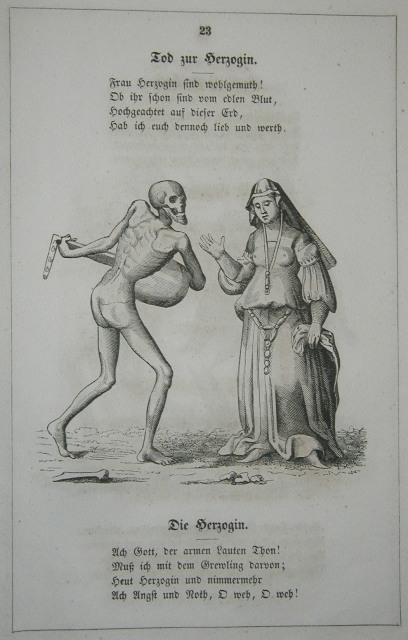 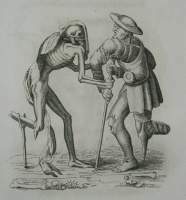 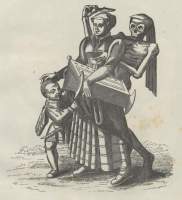 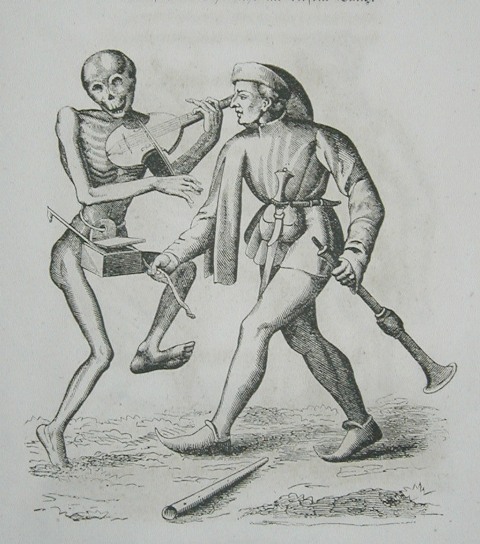 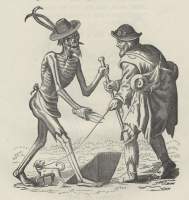 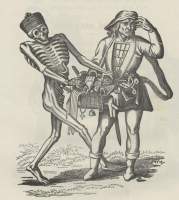 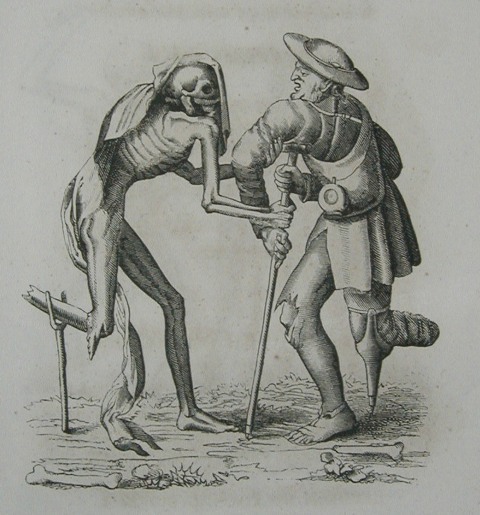 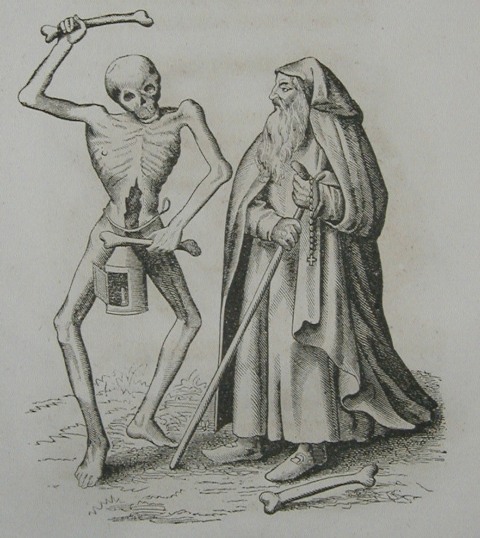 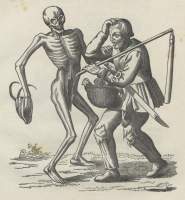 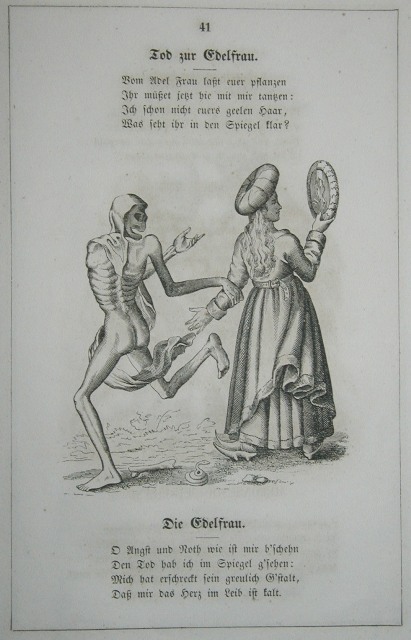 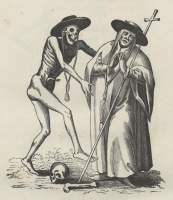 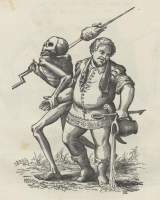 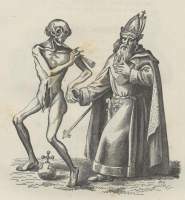 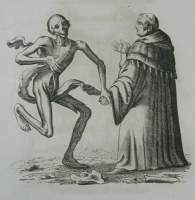 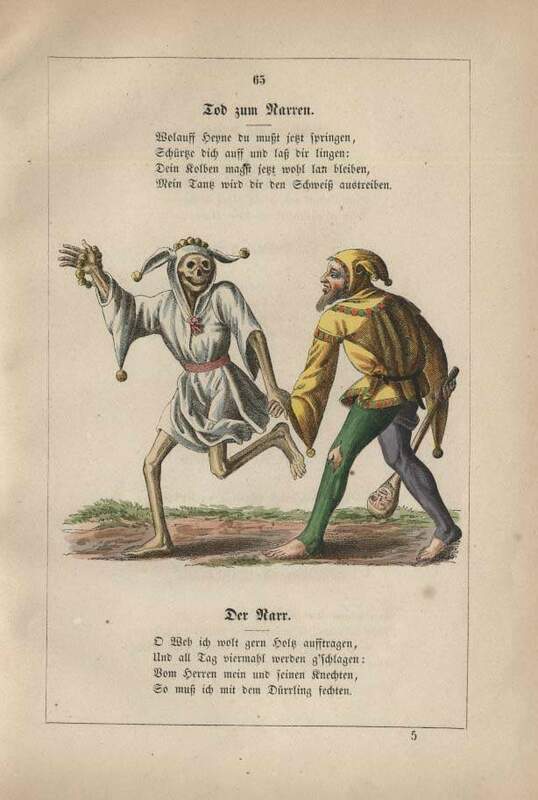 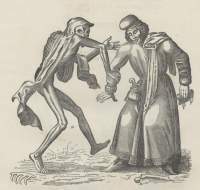 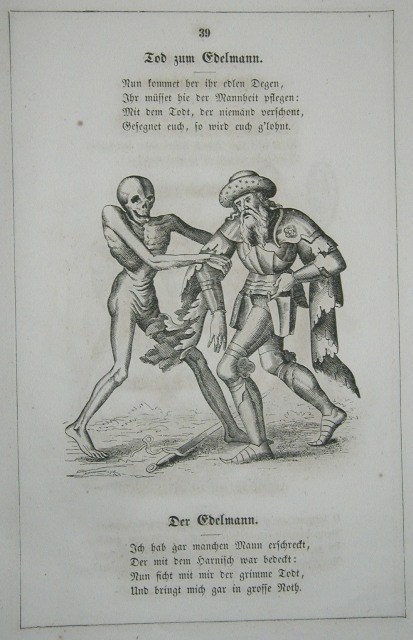 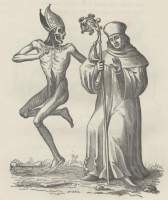 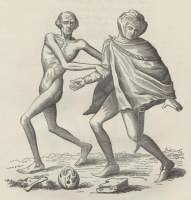 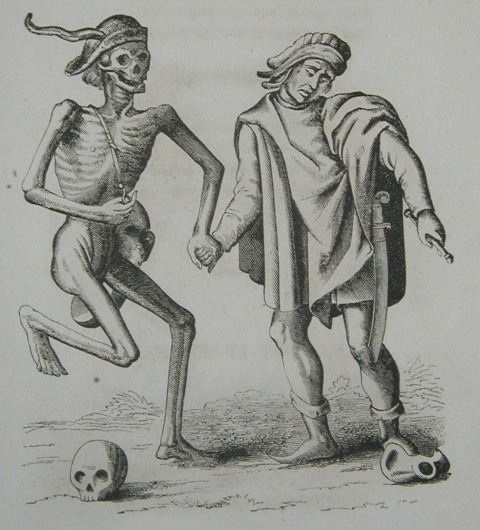 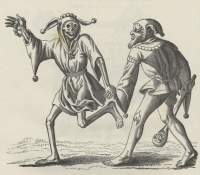 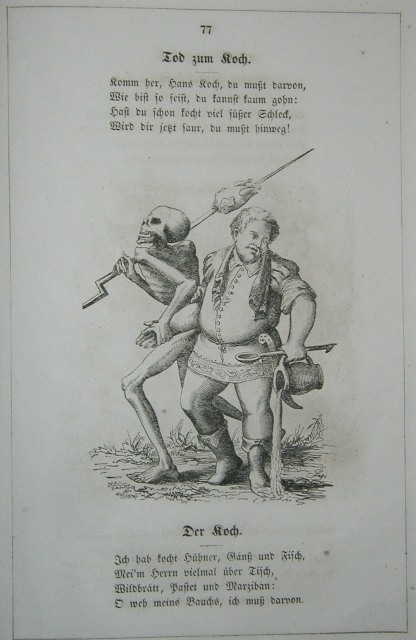 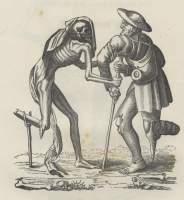 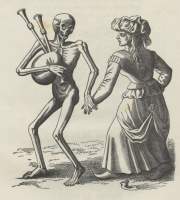 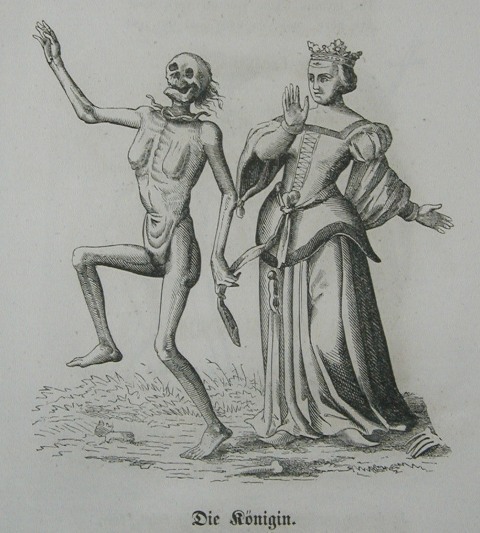 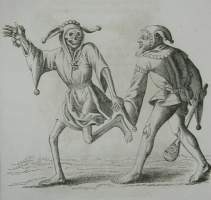 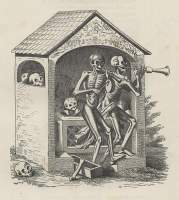 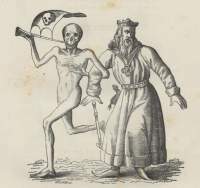 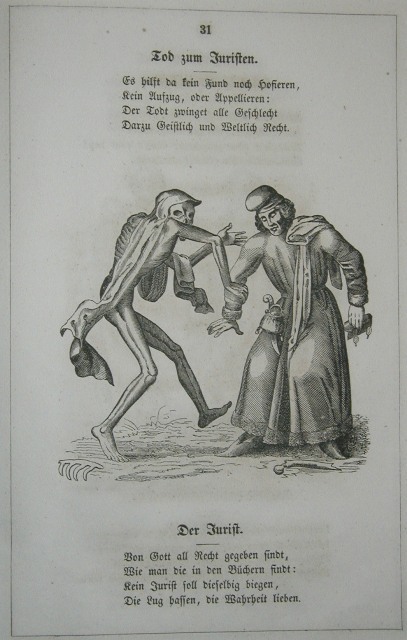 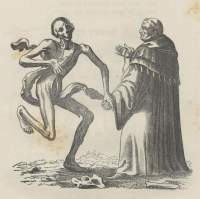 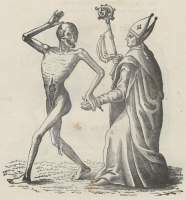 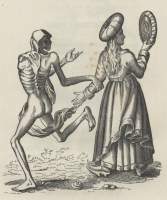 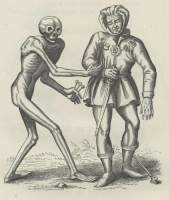 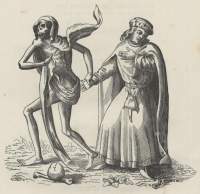 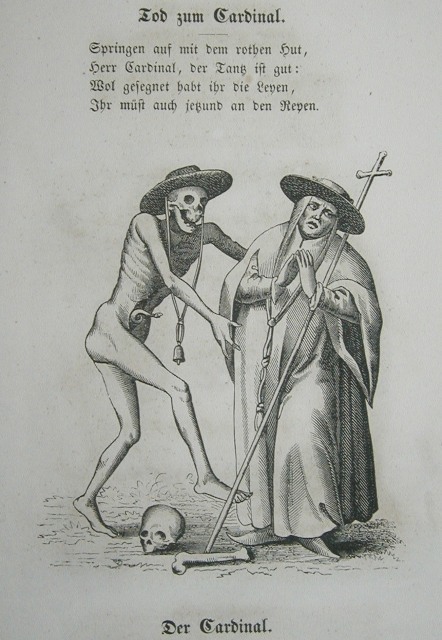 This richly illustrated book includes a smaller reproduction of the dance of death. 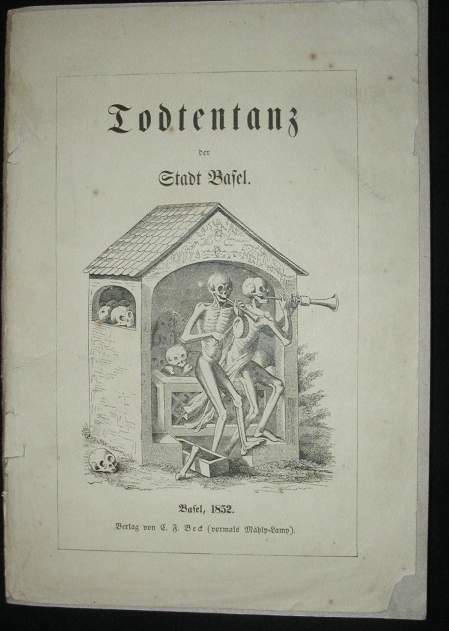 The University Library in Dresden have scanned an edition, which they claim is from 1875, in razor sharp quality: Todtentanz der Stadt Basel. 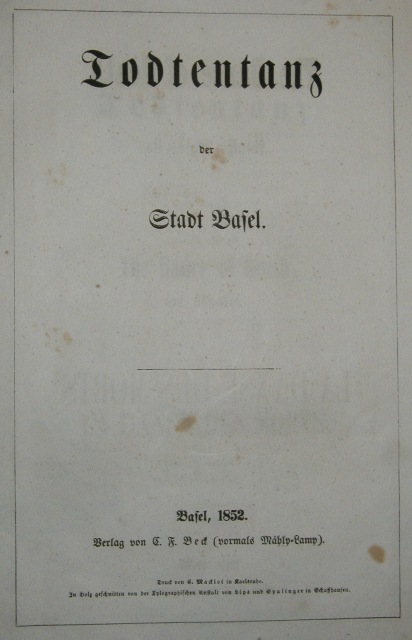 The University Library in Düsseldorf also claim they have an 1875-edition (in the same high resolution) even though the year "1852" is written with a pencil: Todtentanz der Stadt Basel.